Big Ears is an annual music festival occurring in Knoxville, Tennessee that took place March 21-24 this year, which marked the 10th anniversary of the festival. Big Ears was developed by Ashley Capps, who has also developed several other music and arts festivals in the American South, including Bonnaroo. Curation for the festival is ubiquitously praised for its diversity in the face of increasing homogeneity in mainstream American music festivals. And rightfully so! 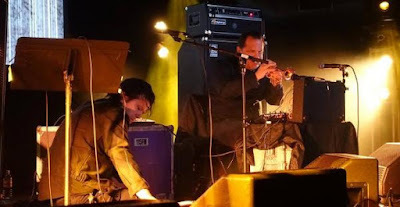 Established and rising acts from the realms of classical performance, improvised musics, left-field rock and techno, international folk musics, and others typically fill the bill. 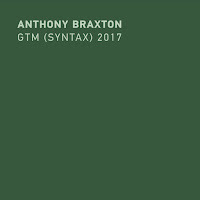 I will note that the improvised music curation tends to lean heavily towards ECM, International Anthem, and other popular acts like Kamasi Washington, Shabaka Hutchings, and Colin Stetson. As well as the performances I cover below, I caught (somewhat in order of fondness) a pipe organ concert from Kara-Lis Coverdale, Meredith Monk with a vocal ensemble performing Cellular Songs, This Is Not This Heat, Jlin, Mountain Man, a performance of Arvo Pärt’s Passio with the local St. John’s choir, Max Jaffe, Avey Tare, the Carla Bley trio, and Mercury Rev. And there were about twice as many performances that I wish I could’ve seen. Which brings us to the logistics of the festival, which are not as stellar as the bill. Capps got his start organizing performances in Knoxville, and Big Ears is as much an ode to the resurging downtown economy and culture as it is to the music. So several performances are scheduled across more than a dozen downtown venues simultaneously. Though every venue is within a short walk, venue capacities and queues make attending a performance a commitment; if you wish to eat some of the exquisite local fare, ducking into a cafe or restaurant will likely cost catching a performance. Additionally, schedule conflicts seem like a method of crowd control; particularly frustrating situations included scheduling Susie Ibarra and Tomeka Reid/Nicole Mitchell, the two premier improvising performances of the entire day, at the same time, or, after billing the Columbia Icefield quartet in the morning, scheduling Nate Wooley solo and Thumbscrew at the same time that afternoon (people that enjoyed the former would likely want to see both the latter). Big Ears also features several thought-provoking panels featuring musicians discussing topics such as “Answering the Bach Cello Suites,” “Sound and Spatiality,” “Women in Music,” or “Sound and Silence,” but I was only able to attend one of these due to schedule conflicts. The wonderful diversity of the bill would be better served by something in between its current state and the linear scheduling of No Idea or Vision, where you’re able to witness the entire program. The festival passes are also expensive compared to most festivals. This was my first time attending the festival and I decided upon a VIP pass because I wanted greater guarantees that I would not be affected by venue capacity and be able to see the shows I wanted to see. The actual added value of the VIP pass is greater advance notice of surprise performances, seating at most venues, and some great food and drink towards the beginning and end of the festival. But the seating at every non-theatre venue was always largely blocked by the standing general admission crowd. If you attend Big Ears, I highly suggest the premier pass, which nets you the same entry guarantees as the VIP pass and is a greater value until they develop some real VIP perks. However, despite vexing schedule conflicts, the relatively high expense, and several smaller logistical oddities and frustrations, I do suggest you attend, if able. 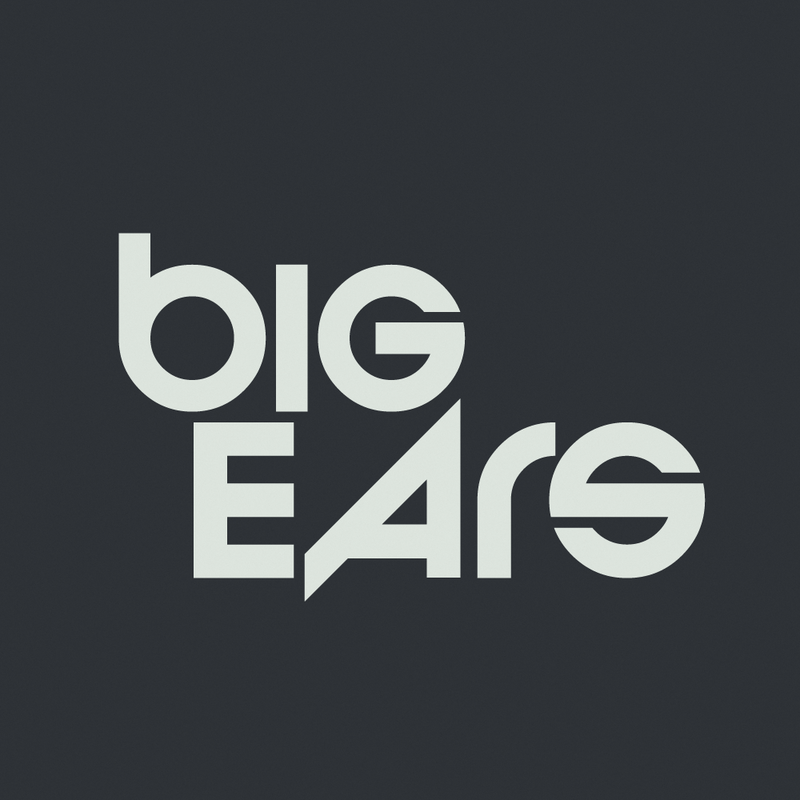 Every year, Big Ears presents a weekend of enriching performances from diverse styles that you’d be hard-pressed to find in combination anywhere else in the world. I intend to return next year. Here’s some impressions of some improvised performances from this year. 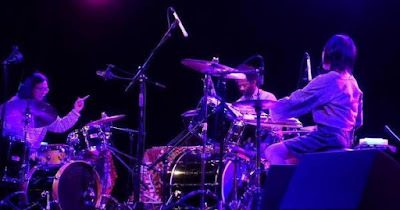 Susie Ibarra (percussion), YoshimiO (percussion, keyboard, voice; most famously of Boredoms and OOIOO), and Robert Aiki Aubrey Lowe (voice, electronics; most famously of Om, Singer, and Lichens) seemed to improvise on the general structures and ambiance documented on 2018’s Flower of Sulphur. Ibarra’s effortless, dexterous virtuosity is awe-inspiring. 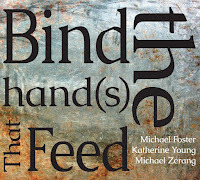 She fluidly transitions from brushes to mallets to sticks to hands, bells, gongs, chains, and from textural extended techniques to discrete percussion. YoshimiO is mostly big bass kicks and booming toms recalling the austerity of taiko drumming, with occasional, playful keyboard explorations and a voice like warped air above fire. Together, they create a rich, polyrhythmic soundscape that Lowe compliments with his solid range of vocal techniques and digital rain and waves. Ibarra and YoshimiO exchanged smiles in the middle of the performance, highlighting just how much fun this performance was. Rob Mazurek (electronics, cornet) and Emmett Kelly (guitar, voice) play around the general structures and ambiance of 2016’s Alien Flower Sutra. This performance walked too close to the recording for my taste, but the delicate, detached emotivity of the recording - recalling Sparklehorse or Grouper - was still present and effective. Trance Map + is a project between Evan Parker (tenor saxophone) and Matt Wright (electronics, turntable) and they were joined by Mark Nauseef (percussion), Adam Linson (contrabass), Ned Rothenberg (contrabass clarinet, shakuhachi), and Paul Lytton (percussion). The Schlippenbach Trio was originally scheduled to perform but Alexander von Schlippenbach didn’t receive his visa in time, so this ensemble performed twice across two days. Lytton and Nauseef use extended techniques on an array of traditional and non-traditional objects to create a dynamic soundspace around the baseline of Linson’s arco, though Linson will occasionally break off into plucked ventures. 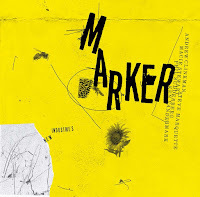 The twin snakes of Rothenberg and Parker entwine each other and this soundspace with timbrally-rich drones and their characteristic, blistering, breathless multiphonic lines punctuated by key clicks, chirps, and tongue slaps. 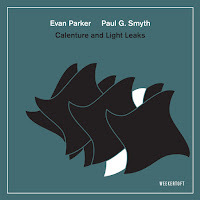 Wright accents the communal effort but also appears to modulate the players in a way similar to Parker’s Electroacoustic Ensemble. The two sets were brimming with subtle dynamics but this is the gist of each. This was a surprise performance (at a venue with very little capacity) and one of my favorite sets of the festival, perhaps justifying the VIP pass for the advance notice. Rothenberg traded in the shakuhachi for a B♭ clarinet, and they played five discrete improvisations rather than the continuous sets of Trance Map +, with two duos, a solo each, and a final duo. What this duo does is the same as it ever was (see description above) but it’s always entrancing. Monkey Puzzle and Live at Roulette live but how can you not experience pure joy in their timbral nuances? A part of me wished that Parker would’ve whipped out his soprano sax but I can’t complain. Particular highlights include Rothenberg’s contrabass clarinet swiftly switching from nimble multiphonics to a titanic didgeridoo drone, Parker’s sense of humor in between playing, Rothenberg rocking in his wooden chair during his solo to inadvertently add a fourth or fifth line of sound, and Parker and Rothenberg accidentally playing about ten consecutive notes harmonically on the last duo before ripping away from each other as if in embarrassment. Nate Wooley (trumpet), Susan Alcorn (pedal steel guitar), Mary Halvorson (electric guitar), and Ryan Sawyer (drums) perform the three Wooley compositions from 2019’s Columbia Icefield. The more easily audible differences between the recording and this performance were a particularly fiery interplay between Alcorn and Halvorson and some delectably wild improvisations from Alcorn. I’ll review the recording later this year with more depth. Another one of my favorite sets. 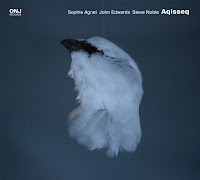 Wooley performed two compositions; one from Éliane Radigue’s Occam Ocean series and one co-composed with Annea Lockwood called “Becoming Air.” Whereas Columbia Icefield demonstrates the more musical mastery of Wooley, thinking performances like this (or recordings like Syllables) are where I believe Wooley is really expanding the language of the trumpet. In the first piece, Wooley begins at the threshold of sound but only emits air notes until the smallest sound squeaks out. He then puts on a mute for a low-volume hum, statically holding the valves and modulating the pitch with largely just breath. 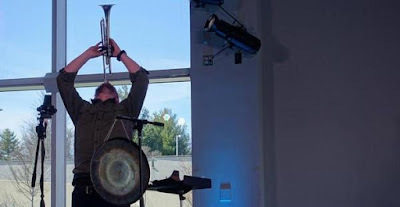 He places a small piece of sheet metal against the mute and the resonance causes a multiphonic metallic shimmer that increases in volume until he pauses again. He continues to play with silence, volume, and modulation through breath alone until spending the last minutes of the performance playing a continuous low-volume pitch while rotating in a semicircle, all very reminiscent of Michel Doneda. For the second piece, Wooley performed several timbral acts, separated by gong hits, such as blowing across the disconnected tubing and mouthpieces of the trumpet like end-blown flutes, a metallic roar with sheet metal pressed against the horn, multiphonic gurgling and bubbling and breathy notes, a loud drone with a mic’d up horn, and a long, low-volume pitch while pointed skyward. An excellent performance by an excellent performer that really explores the nooks and crannies of the trumpet’s timbral possibilities. 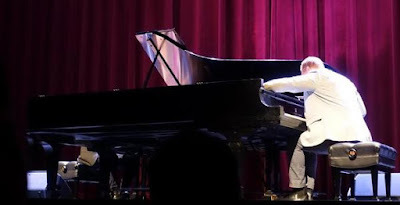 Vijay Iyer (piano) and Craig Taborn (piano) were set up in a kind-of yin-yang formation. Iyer wore black; Taborn wore white. Their Steinways were set up next to each other with the curvature fitted like puzzle pieces. Logistically this show was great because the piano cover in front was removed to allow a better view, and the performers switched sides in the middle of the set so those seated close enough to see their hands could see both performer’s hands. There was more energy and fire here than on their recording from this year, The Transitory Poems. Both took some time inside the piano, both had a few fast complex polyrhythmic flights, and both played to the low-end resonance of two pianos so close together, at times creating thunder. 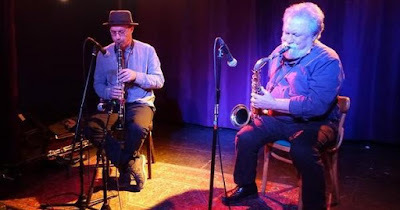 A mighty blowing session, with Keir Neuringer (alto saxophone) at times channeling Brötzmann or Gustafsson and Aquiles Navarro (trumpet) spiraling into and out of control with him like Kramer & Smith of the MC5. With a swinging backbone of Luke Stewart (bass) and Tcheser Homes (drums) constantly shifting and locking in to a funky punk forward drive. And Camae Ayewa’s (Moor Mother’s) poetry on the recent and also ever-present police brutality in America and inhumanities of Flint. This is what the phrase “fire music” conjures up. Politically relevant enough to actually be capital Free Jazz. Roscoe Mitchell and Famoudou Don Moye were joined by an orchestra of performers too long to list (and I apologize to the trombonist cut off in the picture), though I was particularly pleased to see at least Jean Cook (violin) and Tomeka Reid (cello) join them. The ensemble performed eight pieces, five of which were more-traditionally orchestral conductions with the other three being freer, more rhythmic collective improvisations. I can’t recall a single performer that didn’t shine but especial highlights include Reid constantly complimenting the ensemble, floating into and out of space comfortably, plucking, bowing, always a joy to watch and hear, and Mitchell, who began soloing in one piece so haggardly that you feared he’d lost it, until it gradually transformed into an extended, circularly-breathed, multiphonic solo as transcendent as a sunrise. But I would like to mention that Alexander von Schlippenbach was denied a visa for the US. As far as I know he applied for a visa with enough scope before the scheduled US concerts. It should have been a tour from 18. to 28. March. At least until the 24th of March he was even waiting for the return of his passport. Thank's Ernst, it's really unbelievable, isn't it? Thank you, Ernst! Parker did mention that Alex submitted paperwork well in advance and also mused that the US gov't shutdowns affected the visa turnaround. Probably stricter immigration/visitation controls from the current admin and I know it's sometimes inexplicably difficult for some musicians to get visas for the US. He was sorely missed. Really nice overview of the festival, Keith. I'm not sure I'll ever make it out there, but it's good to have a creative-music festival on this scale here in the US (even as the country becomes somewhat less welcoming). Bill Frisell and Thomas Morgan put on a great show. Many of us waitiing in line got soaked by rain, but it was worth it! How were the acoustics where Parker and Rothenberg appeared? In 2005 I saw them in the sonically lively Fairchild Chapel in Oberlin and their ability to use the sustained echoes made it an unforgettable experience. One of those other logistical oddities, they were in an "overflow" venue called the Pilot Light. Tight standing room only with a capacity of 100 or less. Not sure what their usual programming is, but I would guess punk. I was less than a couple meters from them though, so the sound was great. Rothenberg said he was unaware of playing a duo with his chair, but Parker commented on it.